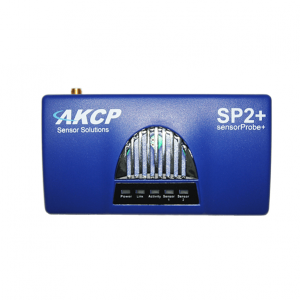 Simple, Accurate and Rugged, sensorProbe2 is a low-cost SNMP enable and Web-based Environmental Monitoring Device. Simple, Accurate and Rugged, sensorProbe2 is a low-cost SNMP enabled and Web-based Environmental Monitoring Device. It is based on years of industry experience. It is ready to run right out of the box. Simply assign the IP address and connect to the embedded web server. sensorProbe2 has been field-proven with versatile measurement options. It can be configured to prevent specific kinds of exposure to humidity, water leakage, gas, airflow and low/high temperature, etc. It does support other sensors which can monitor voltage drop, security, analog and dry contacts. It is customizable to any other sensors like Motion, Gas and Sound Sensors. your equipment’s environmental variations and notifies you through “Email or SNMP Alerts in your Network Management system” in advance and prevents any disaster. The user-friendly web interface allows you to monitor and control the sensorProbe2 from anywhere remotely. It also provides you the graphical representation of environmental conditions. sensorProbe2 has been tightly integrated with industry leading Network Management Systems like Netmon. The sensorProbe is designed to run for years non-stop. 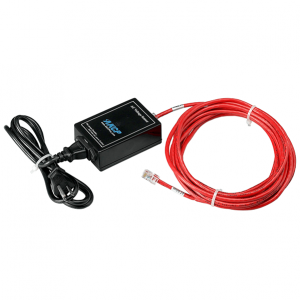 • Supports up to 10 dry contact inputs using two 5DCS (5 dry contact) sensors and the DCUPGSP2 unlock code. • Use the built-in “Continuous Time” feature on either sensor port for eliminating false warning alerts. 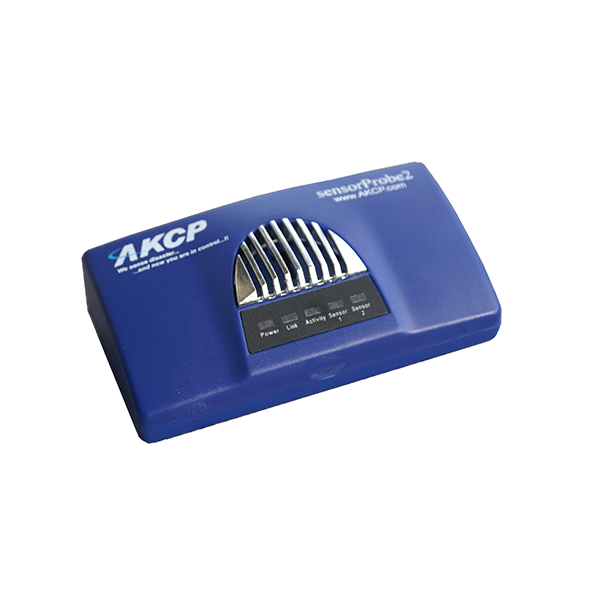 • Optional PoE (Power over Ethernet) that is fully IEEE 802.3af compliant. • 100MB Full Duplex Ethernet port.